Did you think we'd say, beauty? It helps prompt you on things to be grateful for. They also have a community to share your gratitude with, and quick things to be grateful for. When you practice gratitude daily you fill up with joy and it combats the feeling of overwhelm and stress. 2. 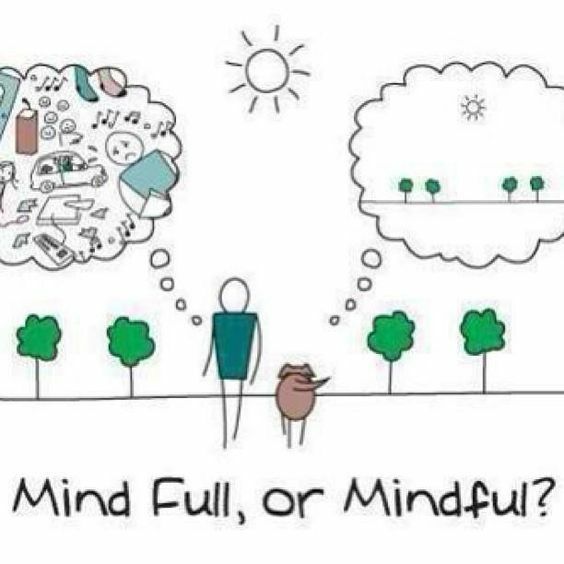 Be Mindful: With all the distractions of every day life and technology becoming more accessible, our minds are overstimulated and it can be a challenge to be present in the moment. We often go through life on auto pilot with out the recollection of how we got to point a to point b. Practice being mindful the next time you're eating. Direct your senses to the experience of eating, smell the aroma, look at how it's prepared, feel the texture on your tongue and enjoy each bite as it nourishes and fills you. 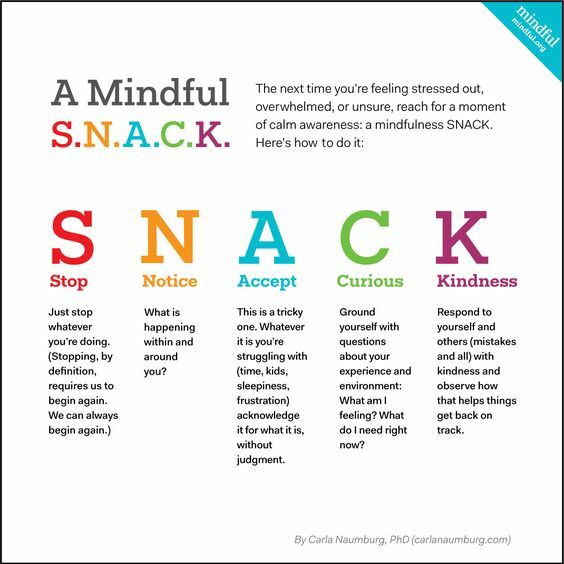 Speaking of food check out this great acronym "Snack" on tips to be mindful. 4. Unconditionally Love Yourself: Imagine that you get home from work, you're excited to see your dog, cat, turtle or whatever animal you love. You love your pet so unconditionally, you could come home to find a surprise on your floor or your furniture destroyed, but you still smother them with hugs and kisses and calling them all sorts of mushy nicknames. You deserve to be loved unconditionally and treated with respect, just like your beloved pet. The only one that you can guarantee to receive that love from is yourself. Be kind to yourself! 5. Only Compare yourself with the person you were yesterday. Comparison is a downward spiral of hopelessness. 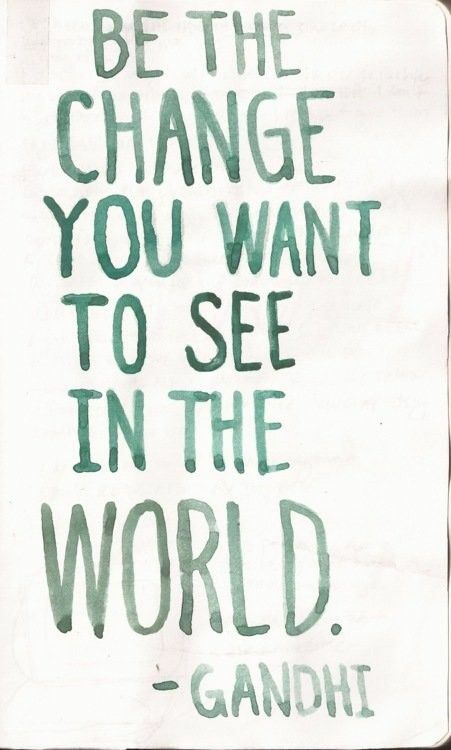 When you compare your life with strangers you will never know if you’re improving, if you compare how you were yesterday with how you are today you can make strides to get better and improve. Start your holidays off right and give the gift of compassion.